The label.m Tourmaline White Dryer is ultra-lightweight and benefits from an ergonomic handle with anti-slip and anti-burn stripes for assured comfort. 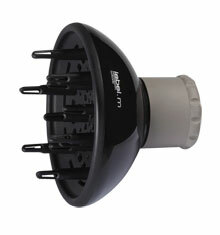 The powerful airflow is created by the high performance 2200 Watt motor that speeds up drying times along with the ION generation technology. 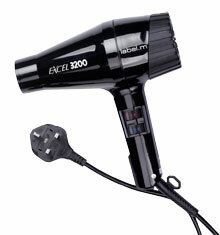 This dryer emits negative ION's to lock in colour and moisture with anti-static results for the perfect blow-dry. This professional dryer also benefits from dual speed and heat settings and a cold shot button for fixing that perfect style in place. 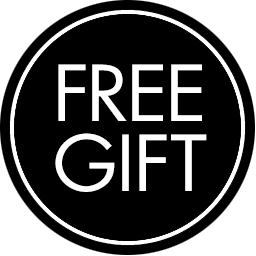 The product is double insulated, made from incredibly resistant materials and features an anti-breaking Lock System to avoid damages from dropping to ensure a very long life. 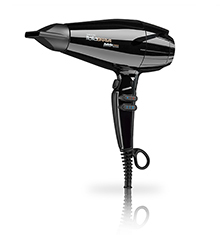 This professional dryer also comes with two interchangeable nozzles allowing a perfectly tailored finish every time. 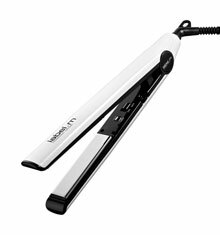 This stylish salon quality tool comes in a high gloss white finish with a bell shaped cord to reduce the risk of cord damage. The label.m Tourmaline Dryer has a AC motor and is also available in black. The Tourmaline Dryer comes with a one year manufacturer warranty as standard. Available with EU and UK plug, select option below. Perfect! Recommended by my hairdresser, he was right. 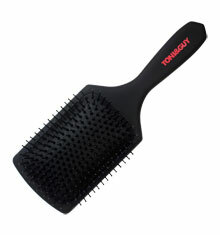 It's very powerful and dries mid length hair in minutes, the lead is long so you can use it further from socket.